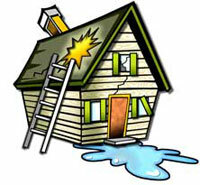 Have a problem with your roof but can't find anyone to perform warranty repairs? Let Roof Services provide the solution. We’re authorized by ALL Major roofing manufacturers to perform manufacturer's material & labor warranty repairs REGARDLESS of who installed the roof. Simply refer a friend to Roof Services. When they become a client, we’ll give you a $100 American Express gift certificate as a sincere thank you. Your satisfaction with our roofing work is our top priority. Why not share the news with your friends? They can enjoy the same prompt and professional service that you do, and rest assured their roof is installed, repaired and maintained by a company with over 20 years experience in the roofing industry, with hundreds of satisfied customers throughout the greater New York City area. Call and let them know about Roof Services Today! Roof Services has been in business for over 30 years. Not many roofing contractors can match the knowledge, experience and professionalism that we provide to our customers. We’ve grown from a one room office with 6 roofing professionals to our current office housing four distinct divisions and over 30 field personnel ready to tackle any size roofing installation or repair. Your roof is the most important part of the building to keep in top shape, because without a solid, leak-free roof, your entire building is at risk of damage from the elements. That’s why Roof Services motto is "Where Concern is Over Head". Ralph’s first assignment with Roof Services was the creation of the Residential Division. Under his stewardship, the division grew each year exceeding both the company’s, and customer’s expectations, from Montauk through the five boroughs. In 1998, Ralph took on the position of project manager for the Commercial division, conducting project inspection & design through project management. In 2015 Ralph became the President of Roof Services. Ralph has continued the philosophy of providing superior customer satisfaction, cost effective solutions and high quality workmanship. 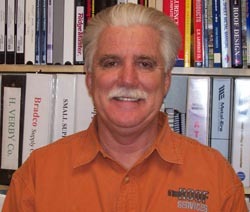 Roof Services was formed in 1985 by Douglas Plotke, Jr. and his brother John. However, Douglas wasn’t new to the roofing industry; he had been running his own business since 1972, operating as a residential shingler on new housing on Long Island. He further expanded his business in the mid-70’s to include commercial roofing. In the early 90’s, Roof Services expanded further to include roof consulting and design. To maintain the integrity and quality of service, Douglas created four distinct service divisions, with their own personnel, that specialize and excel in each division; Residential Installation, Commercial Installation, Repair & Maintenance, and Roof Consulting. Douglas’s experience working on varied buildings and roofing systems has been instrumental in the continued growth and success of Roof Services while providing the highest quality service and support for all his customers. 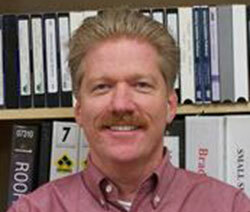 Douglas has, and continues to expand on his professional knowledge with courses from the U.S. Green Building Council (USGBC), Roof Consultants Institute (RCI), Roofing Industry Educational Institute (RIEI), Better Understanding of Roofing Systems Institute (BURSI) and the National Roofing Contractors Association (NRCA). He’s also a member of numerous trade organizations: USGBC, RCI, NRCA, the Northeast Roofing Contractors Association (NERCA), and a founding member of the New York State Roofing Contractor’s Association (NYSRCA). 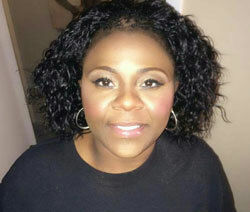 Dyami has literally grown up in the roofing business. Beginning in high school, he gained his knowledge thru hands-on experience in installation and repair of every roof system installed and serviced by Roof Services. 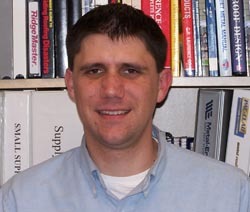 Upon graduating from the State University of New York at Geneseo in 2000, he became Roof Service’s Production Coordinator, managing the logistics of every phase of job production, from material pricing through warranty issuance. It was Dyami’s foresight and commitment to Roof Service’ high standards and quality of work that prompted him to push for a dedicated team of roof repair specialists that exclusively perform repairs and maintenance—fast and professionally. His experience working with roofing manufacturers places Dyami in the unique position to quickly assist customers with manufacturers warranty claims and repairs. Dyami was instrumental in the creation of Roof Service’s Repair & Maintenance Division, which has proven to be their fastest growing division as more customers are made aware of the advantages of preventive maintenance to extend the life of their roofing systems while minimizing lifecycle costs. Dyami’s continued education includes professional training at Design, Consulting & Forensics LLC, NRCA, NYSRCA, Carlisle-Syntec, Hunter Panels, Metal Building Components LP, and the Center for the Advancement of Roofing Excellence. Dyami is an accredited Green Roof Professional (GRP) with Green Roofs for healthy Cities. 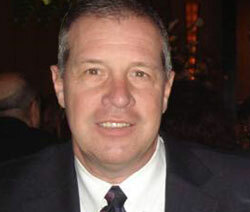 Jim has worked in financial management since starting with European American Bank in 1981. He has worked as Roof Services’ Controller since 2014. As controller, Jim interacts with customers and keeps the office running smoothly. Robert got his BS in Aviation Administration from Farmingdale University in 2007. He joined Roof Services in July 2008 by working with the crew to learn the roofing trade from the ground up. After a couple of years Robert switched positions at Roof Services to become a full time estimator working with the sales staff. In this position Robert has become proficient in the use of Roof CAD producing professional quality shop drawings and roof diagrams. Recently Robert has begun selling and producing roofing projects at roof services with a short term personal goal of working in production management. With over a decade of experience in the clerical and logistics fields, Jeanine has been Roof Services’ Production Coordinator since 2014. 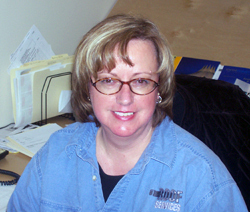 As the Production Coordinator Jeanine acts as liaison between Roof Services and roofing manufacturers and suppliers. In 1995 Nancy joined Roof Services. As residential production coordinator, Nancy is involved in Roof Services residential divisions with a variety of responsibilities. Through her direct contact with clients and prospective clients on a daily basis Nancy communicates Roof Services’ commitment to providing its customers with quality service. Our goal is your 100% satisfaction with our work and to help you get the greatest life expectancy from your roofing investment. We Provide the Best Service using Quality Materials for a Fair Price.